Bringing out the same old story with better quality is what we usually do, but taking it to the next level and inventing new things are what we all are yearning for. Sunny Side Up is apparently inventing a new trend of eating this particular ingredient without worries! After all the fuss about froyo, pancake, and other things, now the tide has turned in favor of this very basic ingredient. Eggs. I thought it’s all about brekkie dishes a la Anglais like those we see in TV or your typical American diner with all the bacon, baked beans, tomatoes, potatoes, and you know what else. Probably it’s the design of the place that’s different since I rarely or even have not seen diners like those in America here with the 60s cushions, bar stools, and waitresses bringing out black coffee straight for you. Sunny Side Up apart from the fact that it’s located far, far away in a different universe of Gading Serpong, is actually a pleasant place. Currently located just across the biggest mall there on an resident-office (ruko) complex and soon expanding itself right into the heart of the mall after only 5 months being in the business. When asked, the proprietor Ms. Vanessa answered that ‘We need to diversify as the market here in the ruko usually serves for office workers looking for lunch and mothers waiting for their kids in nearby school but in mall, everybody’s simply coming especially during weekend’. I was actually already in awe with the egg concept but the owner even rises the stakes with bountiful menu of various techniques of Western dishes, Japanese dishes, and a halal certification. 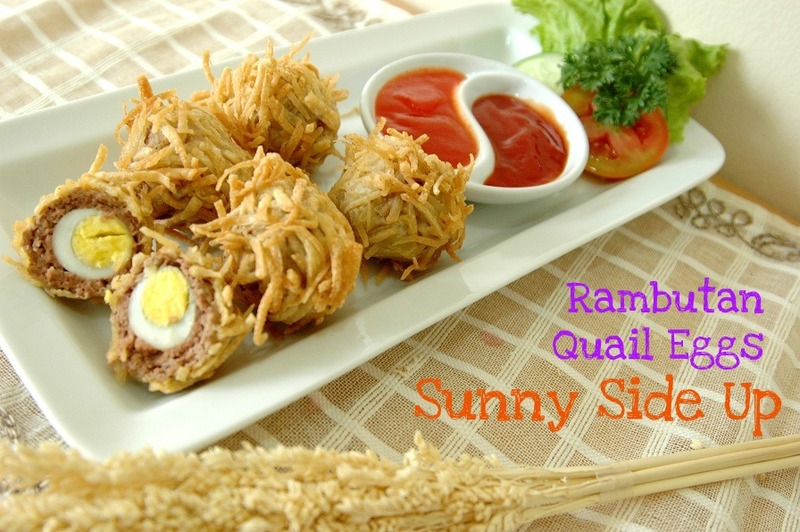 To make it safe and healthy, Sunny Side Up uses eggs from the special breed of Ayam Arab or to be exact, the descendants from Belgian Brakel chickens brought via a hajj pilgrim to be bred here. In the end, this breed produces egg in small size, notably because it’s a kampung type or known more as organic-bred chicken, and the egg itself is different from others. Apart from the small size, the egg possess redder yolk owing from the high level of beta-carotene and also high in Omega 3. The owner even assured me not to worry about getting caught with abscess. So it’s pretty much the healthier kind of egg but the color of the yolk when applied to dishes is surely very inviting. 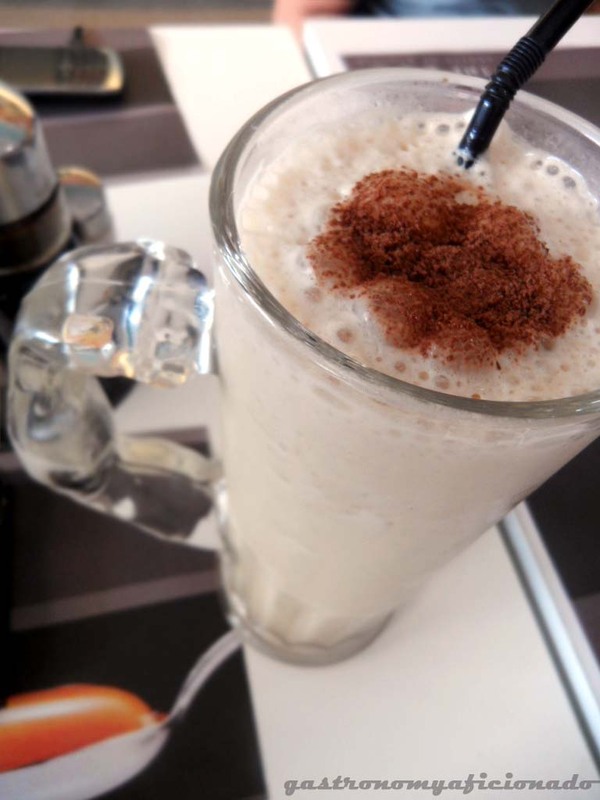 It was a very hot day at Gading Serpong and I thought a cold drink will do the trick. There’s the star of the beverages which is the eggnog but it’s best served hot. Thought I save it for another day and then came an idea to just try instead the white yolk juice, said to be the best choice there for protein supplement. Intriguing! And it’s the cappuccino flavor that I chose. It came with a huge glass and a handle describing a circling arm full of muscle! A bit curious about the use of egg whites there and it tasted good after all. I feel like I’m not being tricked by cheap coffee shops that sell cappuccino but tastes actually more like water infused with cappuccino flavoring. Not this one here of course! I was a bit surprised when they say that they had used six egg whites for the drink and no wonder it was huge! There’s no sign of egg smell at all and it just tasted sweet and refreshing. A good choice! The menu itself is like a gold mine. Plenty to be chosen from appetizers such as the signature rambutan quail eggs, main dishes like eggs in forms of omelette, scrambled, baked, fried, boiled, salted, in soup, combined with rice, and finally the chef’s signature skills in Japanese dishes. Not just that, the fiesta continues with toast, sandwich, and sweets like pancakes, waffles, thus ended with special drinks that use eggs. I could spend everyday to try new things here as the combinations seem unlimited and tempting. Not to forget that the price for every dishes appear very friendly. Egg itself is actually one of my most favorite ingredients and I always remember why Simca, the co-writer of the famous French cookbook by Julia Child, used to say that one chapter should be dedicated only for eggs and eggs only! After a strange appetizer treat of rambutan quail eggs, wrapped with beef and haired with wonton skins shaped like sticks then fried, and also another one which was actually on the contrary wondrous. It was simply a thin bacon surrounded a runny egg with herbs. A great treat for appetizer and for that I continued to the main dish with full spirit! And that would be the good but a different version of Egg Benedict. It’s pretty much the same in shape and order which is the egg, a patty, and a muffin. But the differences were the style of the egg and the sauce. 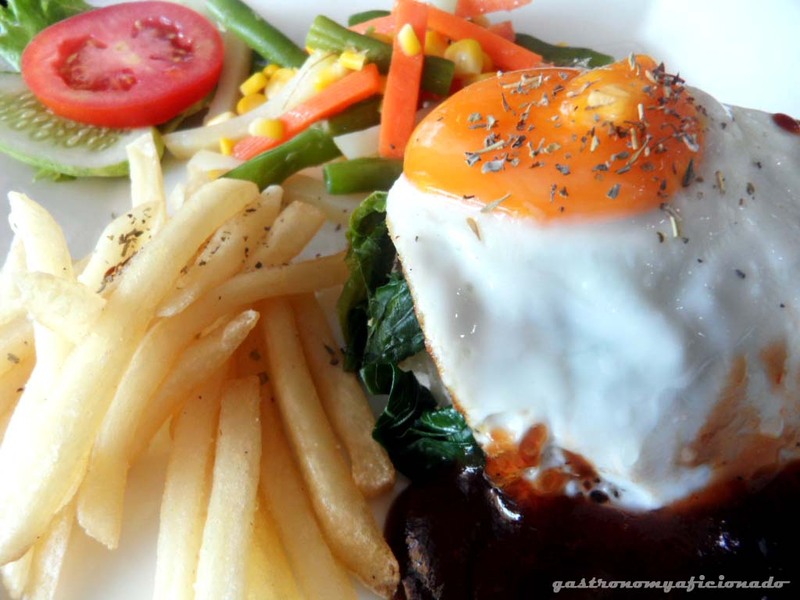 While the original version uses Hollandaise sauce and poached egg but not here in Sunny Side Up. At least it’s still a bit runny and using a barbecue sauce which was too thick and still less sharper like the magical one made in The Butcher. The patty was however good enough and they even added some salad and fries as the sides. 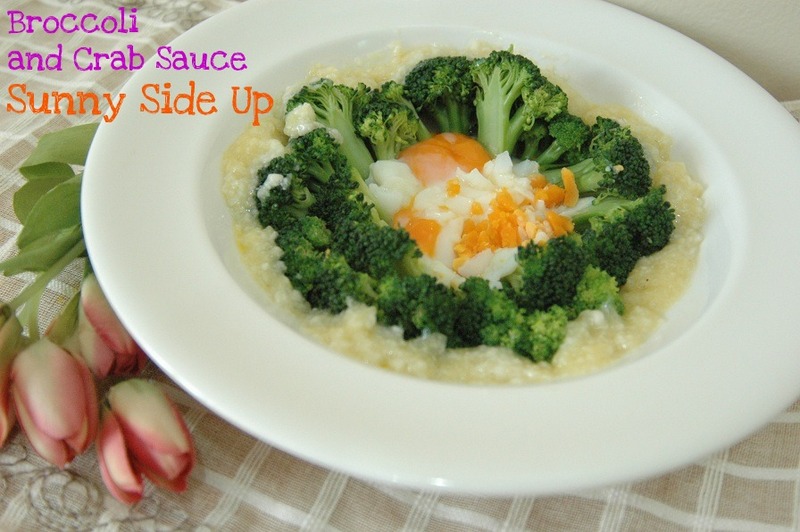 The other dish was the enigmatic broccoli with egg and crab sauce. It’s pretty promising judging from the looks but quite unfortunate that the sauce and the eggs didn’t mix well. As individuals, the sauce was superb but when mixed, it felt as if they negate each other and put the flavor to neutral position to the point of dissatisfaction. Perhaps it’s imperative to even overpower the crab sauce a bit just to make sure that it blends well with the eggs and the broccoli. Quite admirable judging that they had daringly started a venture creating a new trend in consuming eggs and also put themselves in halal position which is actually quite rare especially related with a diner’s dishes. A remarkable feat and I’m pretty much hoping that they can open up more outlets soon closer to Jakarta. Rise and shine, Sunny Side Up! The world’s bigger than just Serpong. Are you ready? 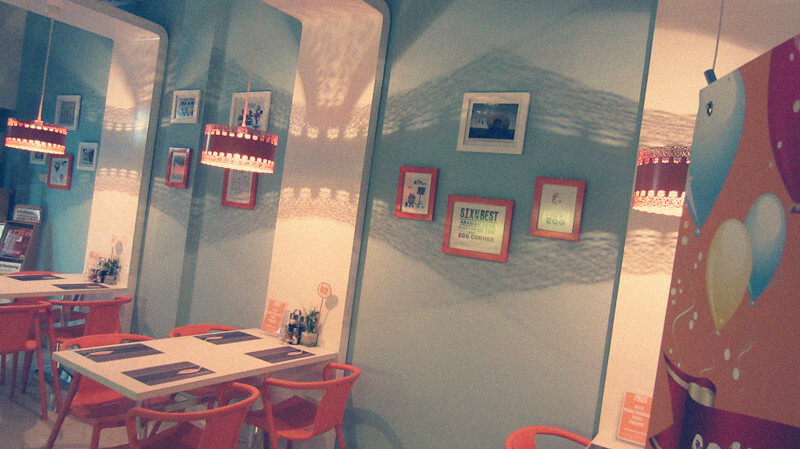 Atmosphere: Cheerful and full of light though the AC may not be able to subdue the heat completely.